Vacation rental house. 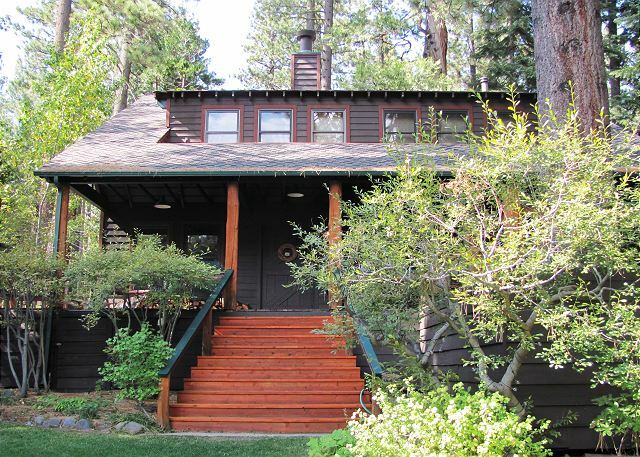 Sleeps 13, 4 bedrooms, 3 bathrooms. Dogs allowed. 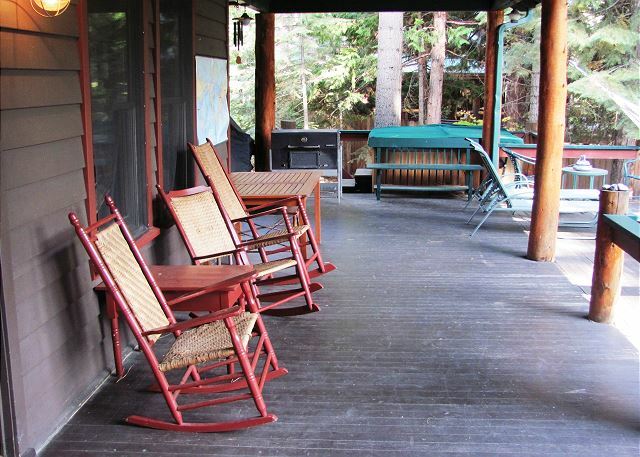 This marvelous West Shore vacation home offers charm around every corner. 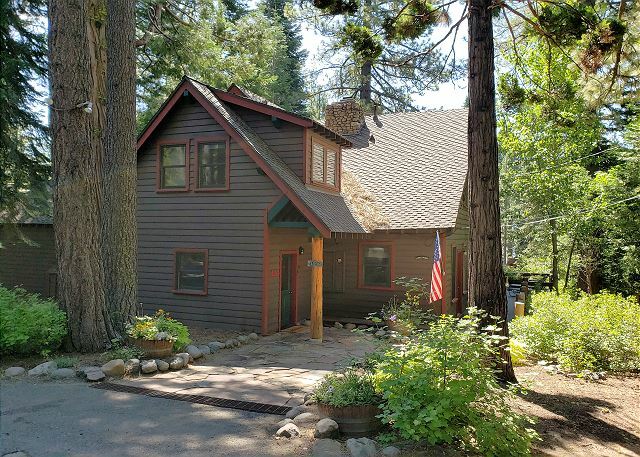 Built in 1925, the 3,500 square foot "Grand Olde Tahoe Lodge" sits on a lovely forested 1.16 acre lot. 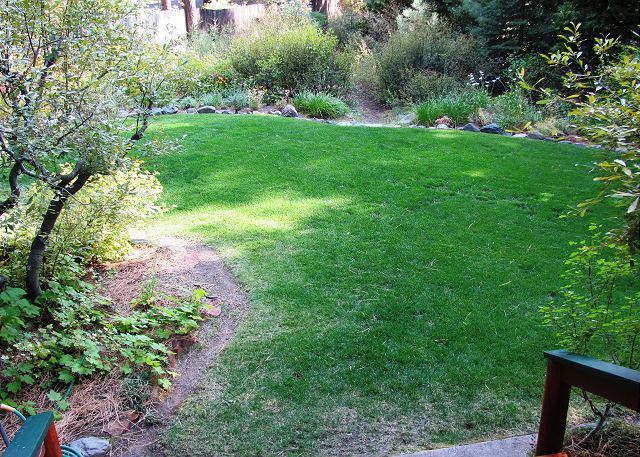 The property is fully fenced and gated. 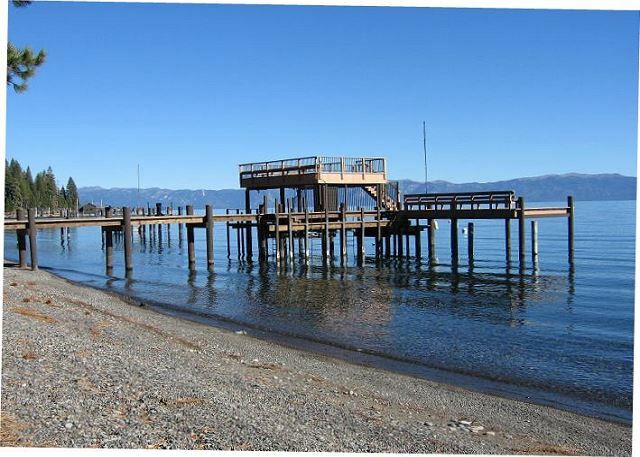 During summer, you're just a 1/10 mile walk from private beach and shared pier. 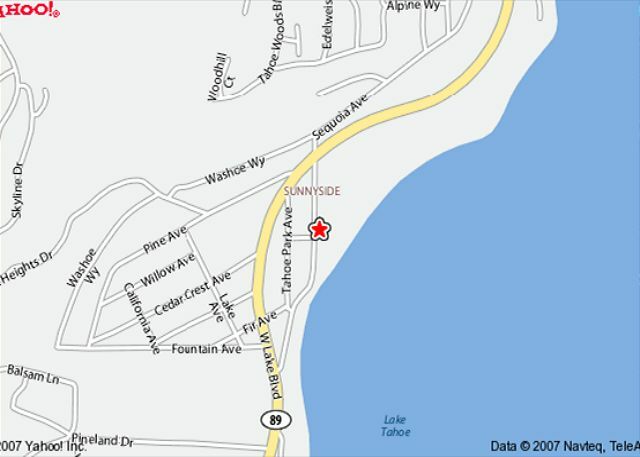 Just down the street are Sunnyside Resort/Restaurant, Fire Sign Café and the New West Shore Market. 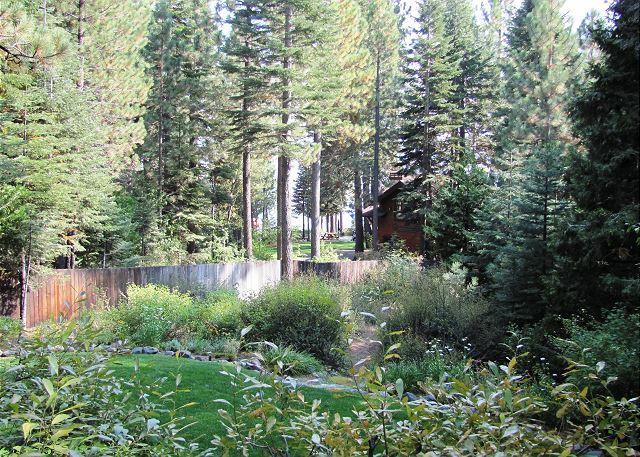 In the winter Alpine Meadows, Squaw Valley and Homewood are all a short drive. The house features rustic pine paneling throughout, slate floors in the kitchen and hardwood floors all of which are original. There is plenty of light with lots of windows in every room. Enjoy cooking in the kitchen that has all of the modern appliances to meet your needs, and there is plenty of room for entertaining with a breakfast table in the kitchen formal dining table near the living room and an extra table in the family room. The great stone fireplace in the living room invites you to cozy up and relax. Or gather in the den with its flat screen TV, Stereo, DVD, games, Wifi, wet bar and full bath. 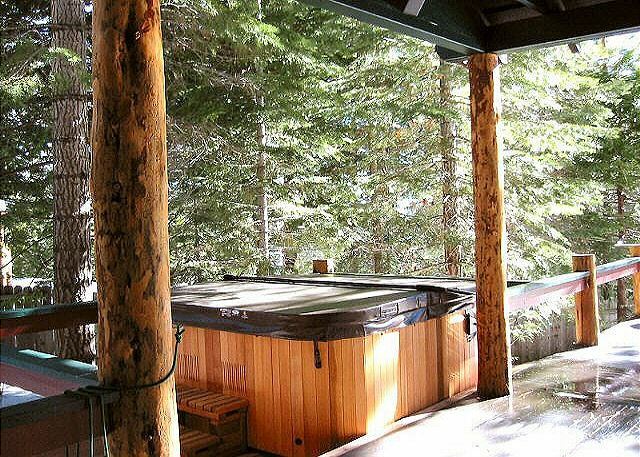 The wrap around deck leads to several sitting areas and a hammock to enjoy Tahoe summer nights and an 8 person hot tub for a nice soak after a day at the mountain. There is a guest bedroom directly off the living room with a Queen bed and its own bathroom, where you can relax in an old fashioned claw foot tub. 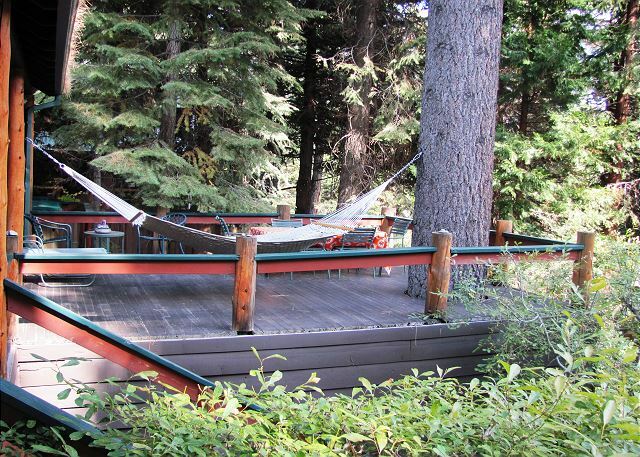 Venture upstairs to the bunk room with 4 Twin beds vaulted ceilings and a double sided rock fireplace. Two more guest rooms on the second level have 2 Twin beads each (one has an extra twin mattress on the floor). The central upstairs bath has a shower, jaccuzi tub and double sinks. The master bedroom has a large sitting area to enjoy the rock fireplace and a Queen bed. Well mannered pets are also welcome. Firewood is provided and the property includes a two car garage. Our group had a marvelous time at Gage's Olde Lodge. The house was large and comfortable. The setting felt like you were in the middle of a forest. And a view of the lake from the deck. Outstanding. Incredible Tahoe ski lease experience!